Attentive to the quality and success of your stay, the hotel staff will be at your disposal to answer all your questions and to help and advise exploring the capital and its many attractions. You can have breakfast under the vaults of a superb and extensive wine cellar in exposed stone. For 14 € (offer in case of online booking on our site), you will have a generous buffet at your disposal. You can choose what suits you from a wide selection of drinks (several tea, coffee, chocolate, milk, several juice); several varieties of bread and cereals ; a selection of jams, honey, butter and cream spreads; a selection of cold cuts and cheeses; yogurts, jams and fruit salad, not to mention the traditional Anglo-Saxon sausages, bacon and scrambled eggs. The hotel offers special products to its guests allergic or intolerant to gluten, on request. 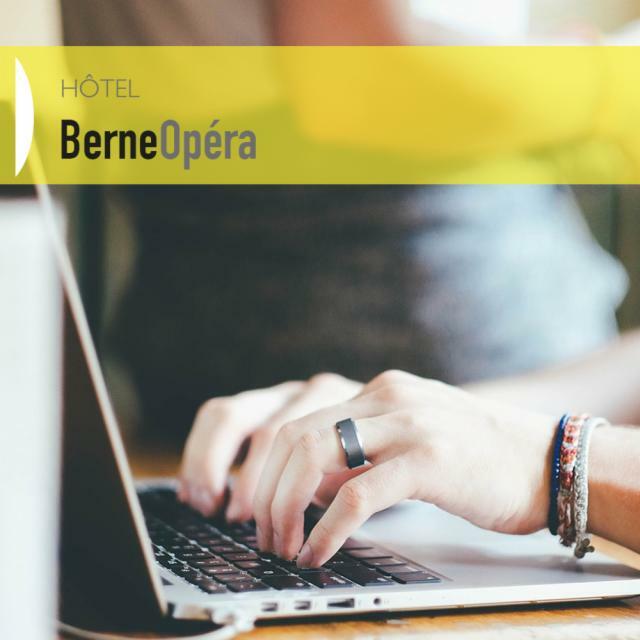 The Berne Opéra hotel also offers its hurried guests an Express breakfast for 8€ which includes hot drink on guest choice, fruit juice and croissants. It can also be served a continental breakfast in the room at no additional costs. The Berne Opéra hotel has two common reception spaces. The first room can hardly be seen in the establishment entrance, while a second room vastly extends the reception situated right next to a green delightful patio. There you can relax in comfortable sofas and consult the national and international press graciously put at your disposal! If desired, you can also choose a hot or cold drink with or without alcohol, among the offer from the honesty bar available 24h / 24. To visit the Palace of Versailles, organize a night show or in the restaurant, get a transport pass and visit the tourist locations do not hesitate to request assistance to the hotel Berne Opéra team. We will be happy to assist you in your visits, explorations and procedures to fully enjoy the "most beautiful city in the world." 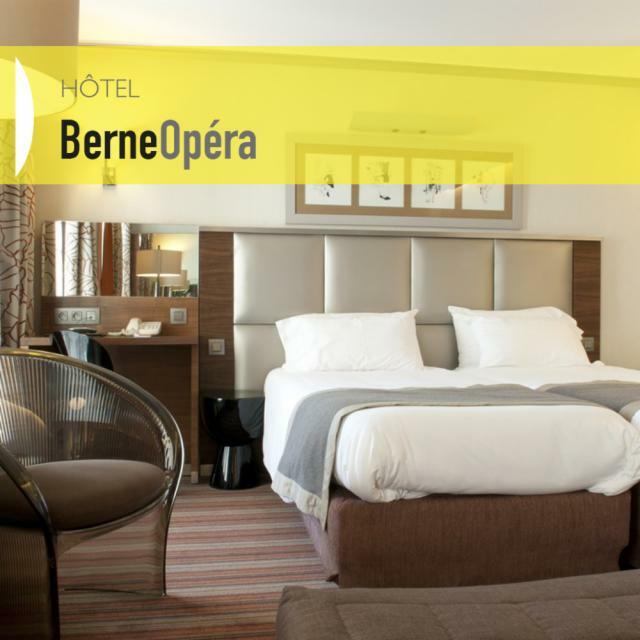 The Berne Opéra hotel has a large luggage storage where you can put your bags and luggage if you arrive too early to access your room or if you leave late and you have to deliver the key. The best way to start without delay or end your stay in peace, without complications!